23089 Elm Grove Farmington Hills, MI. 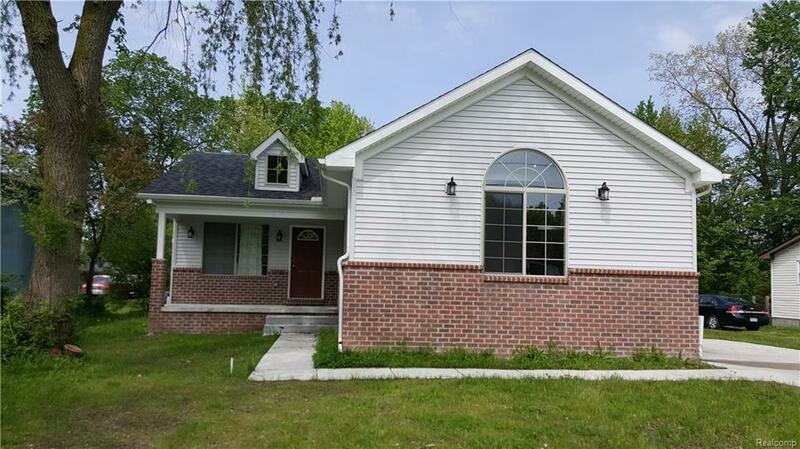 | MLS# 218044659 | The premier resource for all real estate information and services in Metro Detroit. Move in Ready - Beautiful New Home 2016, That means everything is NEW! Nothing to do for many years...ALL NEW Roof, Furnace, A/C, Windows, and More! Maintenance FREE Exterior! Approx. HALF ACRE Lot! Gorgeous! AND Loaded with UPGRADES! Master Ensuite, Lots of Oak Kitchen Cabinets, Granite Counters, Carrara Marble style Backsplash, New SS Appliances, Cathedral Ceiling in Master with En-Suite, Walk-In Closet, Spacious bedrooms with Lg closets, Beautiful Windows T/O, Huge Basement with Egress Window, Elegant Gas FP in GR, Oversized Att Garage! Lovely neighborhood, lots of nature! .....MUST SEE! Stove, microwave, dishwasher, refrigerator included! Washer & Dryer Neg.